“Is it okay if I take a few minutes and give you a little background about South African history? It’s not something most American schools teach.” That’s how Garth introduced himself and I bristled a bit. South Africa. I know about South Africa. There’s apartheid, Oscar Pistorius, the Sugar Man, and the Lion King. Heck. I participated in a sit-in during the 80’s to protest my college’s investments in South Africa, an effort that was abandoned after a few hours because I needed to get back to my apartment to host a party. I know nothing about South Africa. But I hoped my guided tour of Cape Town would change that sad fact. Hire a Tour Guide or Go it Alone? When my travel agent, Yvette De Vries of African Portfolio, included 2 days’ with a private guide in my Cape Town itinerary, I was hesitant. After all, I’m a resourceful and adventurous traveler. My approach to a new city is to wander around on foot and by car, based on what I’ve read in guidebooks, online, or in the local newspaper. On this trip, though, I was willing to cede control. I was traveling a very long distance and had precious little time to explore. And, once I saw that they drive British-style – on the wrong (left) side of the road – I was relieved to leave the driving to someone else. Upon arrival at the Cape Heritage Hotel, the manager gave us an emailed itinerary for the next two days from Garth Angus, our guide and owner of Footsteps to Freedom. And, as promised, he arrived at 9 a.m. the next morning and delivered some bad news. 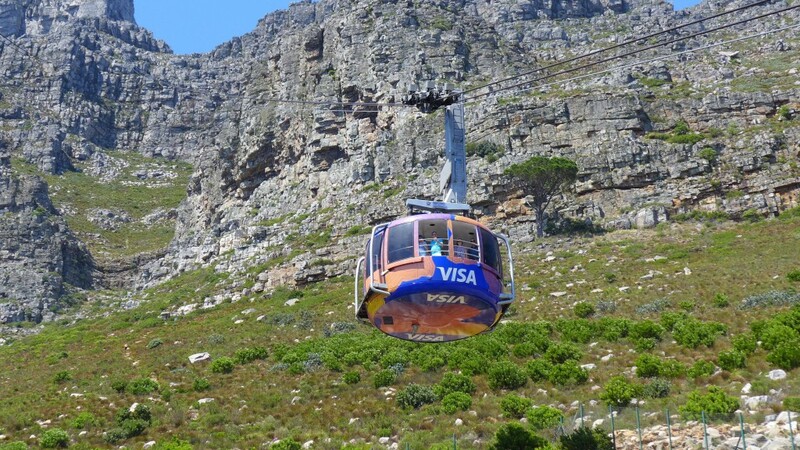 One of the signature activities in Cape Town is ascending to the top of Table Mountain via rotating cable car and was our first scheduled event for the day. But the cable car was closed, and had been for days, because of high winds, with no relief in sight, according to the weather forecasts. 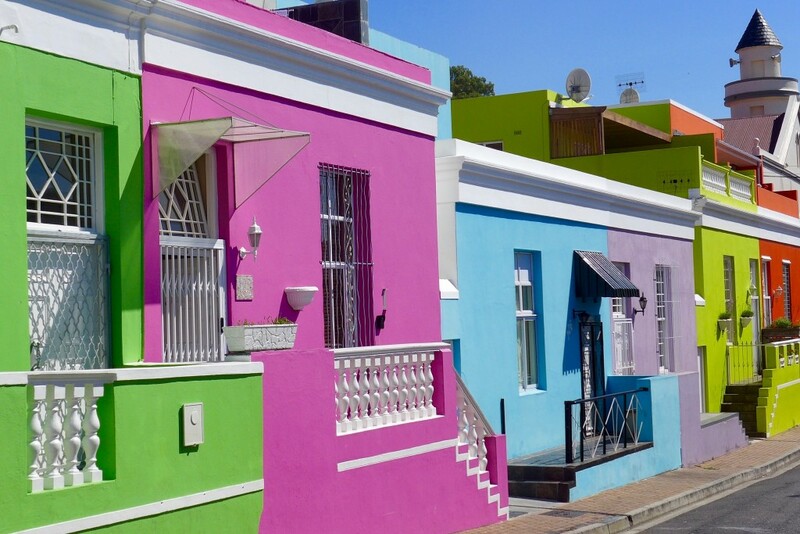 So, we regrouped and began with a walkabout in the Bo-Kaap, a neighborhood of brightly painted homes in the shadow of the mountain. Settled over 300 years ago by freed slaves from Southeast Asia, this is the heart of the city’s Muslim community. We popped into Atlas Trading to sniff out some of the spices, like turmeric and coriander, used to season the rich dishes associated with the neighborhood’s Cape Malay cuisine. As we walked, Garth filled us in the timeline of South African history after its discovery by European explorers: from a corporate state operated by the Dutch East India Company, through the wars between the Brits, Boers, and Zulus, to apartheid and the current political unrest as the nation continues to try to find its way. 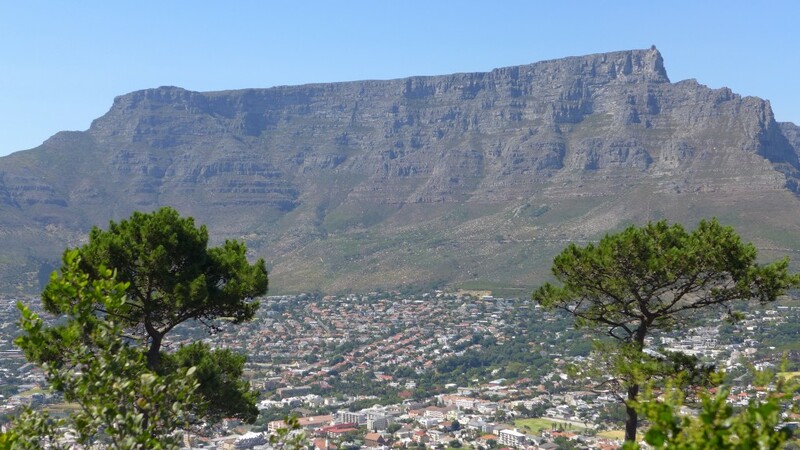 Next, we drove sadly past the “Closed” sign at the entrance to Table Mountain and up to Signal Hill to check out two stunning vistas: the mountain and the view of the city down below. I moped in the backseat and listened as Garth told us more about the British Boer Wars. The wounds from this conflict were borne personally by his family. During the war years, the British placed Boer and black women and children in concentration camps, where thousands died. Animosity existed for decades after the wars and the formation of the Republic of South Africa in 1910. Personally, Garth’s grandmother was thrown out of her house by her Boer family when she announced her decision to marry a Scotsman. As we drove back down, I noticed that the Table Mountain sign had changed. “It’s OPEN!” I shrieked. Garth swerved right and my husband muttered “Welcome to my world.” The winds must have died down and we were able to ride the cable car and take a meandering stroll across the tabletop as Garth explained the geology of the mountain and its distinctive groups of flora: protea, ericas, bulbs, and grasses. Botanists only recognize 6 floral kingdoms in the world, and the one on the Cape Peninsula is the smallest. It reminded me of the heath found on the moors in England. Garth mentioned lunch and I realized that my stomach had been growling since I sniffed those spices earlier in the day. He suggested the Mint restaurant in the Taj Hotel in downtown and I asked him to join us. We continued to listen attentively as he relayed the rise, fall, rise, and fall of Cecil Rhodes. I’d first heard about Rhodes during the Rovos Rail train stop in Kimberley. Rhodes had made his fortune in diamonds as a very young man. He went on to serve as Prime Minister of the Cape Colony and led a disastrous raid against the Boers that resulted in his expulsion from South Africa. During his exile, he whipped up war fervor and motivated the second Anglo Boer War that raged from 1899-1902, the year that Rhodes died. He passed away at his Cape beach cottage in Muizenberg and left no heirs as he never married; he did have a series of live-in male friends, so it’s assumed he was gay. Rhodes left a significant legacy: the land he bequeathed to South Africa is home to the University of Cape Town and Kirstenbosch, the magnificent botanical gardens, and nearly 8,000 students have received prestigious Rhodes scholarships. His remains are buried in Zimbabwe, formerly Southern Rhodesia (neighboring Zambia was Northern Rhodesia). Cecil Rhodes statue in the Company’s Garden. His grand dream was to build a continuous rail line from Cape Town to Cairo. More than a hundred years after his death, Rhodes remains a controversial figure. 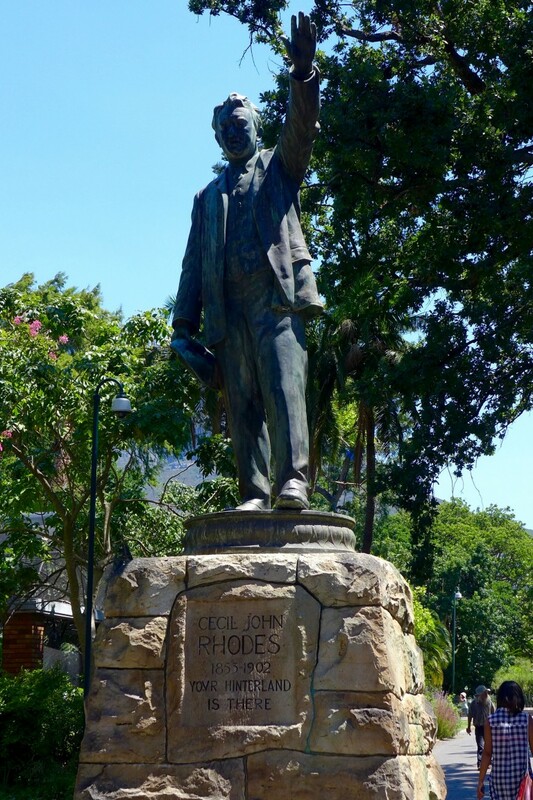 A recent campaign – #RhodesMustFall – led to the removal of his statue from the grounds of the University of Cape Town, although efforts to remove the one at Oxford in England have failed. Garth drew parallels between this movement and the controversy in the U.S. over the Confederate flag. It was an intriguing and thoughtful conversation about the power of symbols that we continued as we walked around downtown as Garth pointed out additional sights, including bustling Greenmarket Square (former slave market turned flea market) and St. George’s Cathedral (many anti-apartheid marches began from the front steps, often led by Archbishop Desmond Tutu). The Cathedral has a particularly unique feature; the Crypt, located inside, is a full-service restaurant and jazz club. I cut our tour short at this point in the afternoon. With limited days in Cape Town, I really wanted to visit Mandela’s cell on Robben Island and I’d purchased ferry tickets for the 3 p.m. tour. Garth took it in stride, gave us a tremendous restaurant recommendation for dinner, dropped us at the waterfront, and confirmed a 9 a.m. pickup for the following morning. Set adrift in Cape Town, I felt a bit lost, even though I usually travel unaccompanied. I already missed Garth’s entertaining narration. It was much better than many of the mumbled dialogues I’ve strained to understand during hop-on, hop-off bus tours in other cities. And he answered my questions. I usually have a few…hundred. 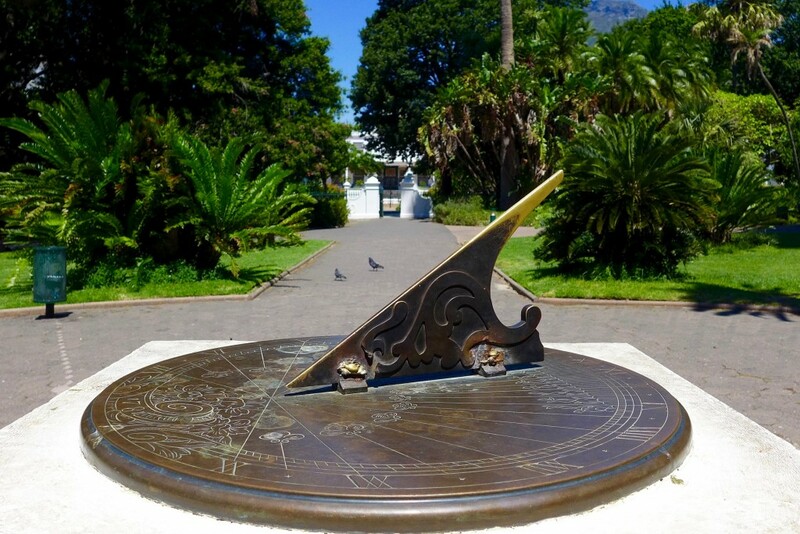 I decided to reserve judgement about whether it’s better to guide or not to guide until after Day Two and our tour of the Cape Peninsula because I really didn’t want to believe that maybe, just maybe, I’d been traveling all wrong until now. Why You Should Hire a Tour Guide Part Two…. I ill-advisedly bushwhacked up a creek (by myself) on the backside of Table Mountain. I did finally make it up, but I’m guessing the cable car was the better option!! Hiking was an option-not a viable one given the high temperatures and the time constraints. I’d love to do it another time! Yes, sometimes hiring a private guide is the way to go. They are in general more expensive than usual tours, but are worth it. We took a private guide for a day from Cape Town to visit the wine country. 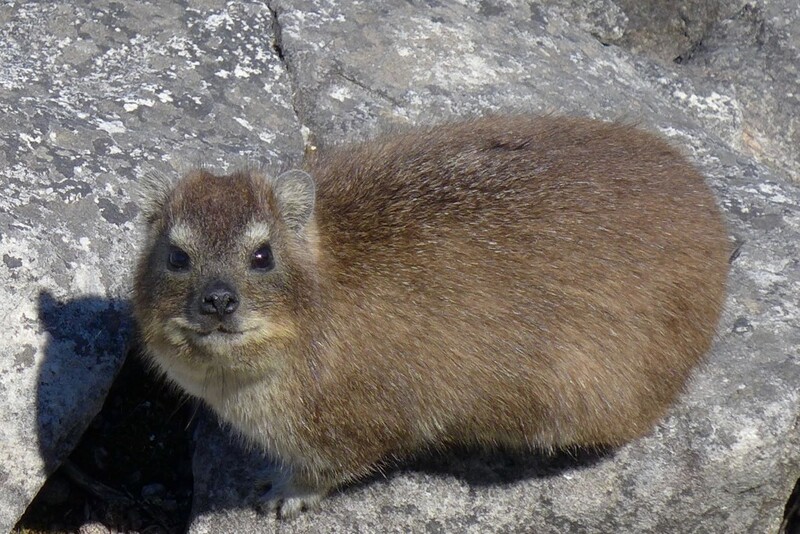 It was fantastic, a real pleasure, The guide was recommended by the B&B we stayed at in Cape Town. He took us to places tourist buses don’t go to. I can also recommend the B&B we stayed at:”twentytwo.” http://www.cape22.com/. It’s close to Table Mountain. Just wonderful. I’m so happy to hear that other, experienced travelers appreciate a good guide. And thanks for the B&B recommendation. I really can’t wait to return! I’m starting to think we really need to think more about getting guides, at least for some areas. I don’t really like people-to-people style group tours for a variety of reasons, but I learn so much! Even striking up conversations with the locals isn’t as educational because they don’t know what I don’t know in the same way that a professional guide does. I want to find ways to travel independently and still get that expert input from someone who is used to talking to tourists. Hiring an expert guide for a day or two seems like a great plan. I’ve also had bad experiences with HOHO buses (although they can be helpful on that first day for orientation). I’ve had good experiences with walking tours, so that’s another thing to try. Love hearing all about your day and I’m looking forward to more of this story! Thanks for the input, Joy. I think the key, perhaps, is a good person to guide match. Great story. I also find it essential to hire guides for jungle treks and bird walks – I would certainly walk right by all kinds of amazing plants and animals completely oblivious to what is there and missing the change to learn all kinds of things. Agreed. I love the fun facts that a good guide sprinkles into their commentary. Agree that a good guide can make all the difference. Our ‘guide’ in Cape Town was the audio guide on the Hop On, Hop Off bus, though I definitely want to go back and learn more about the history from a guide when my girls are older. 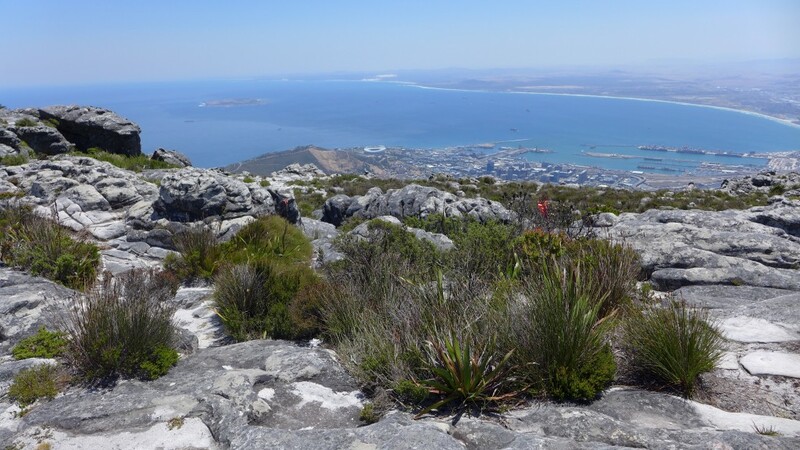 Your pictures reminded me of just how beautiful the view is from Table Mountain. We didn’t go on the cable cars, but had a sunset picnic dinner there. The city was just a twinklin’ on the way back down. I can’t wait to go back, Sabrina. We didn’t bring our kids with us but I desperately want to. For the history. And the penguins. Thanks for taking the time to comment. It’s greatly appreciated! Oh yes, the penguins. We drove out to Cape Hope and stopped to see the penguins along the way. I hope you get to take your kids someday. For those with younger ones, there are some really great parks/playgrounds in Cape Town.